In the Philippines, or I guess it most countries as well, household chores is usually relegated to the womenfolk. However, as the years go by, men are now also keen to do the laundry. Of course, technology plays a big role in this mindset shift especially if you own a state-of-art washing machine. 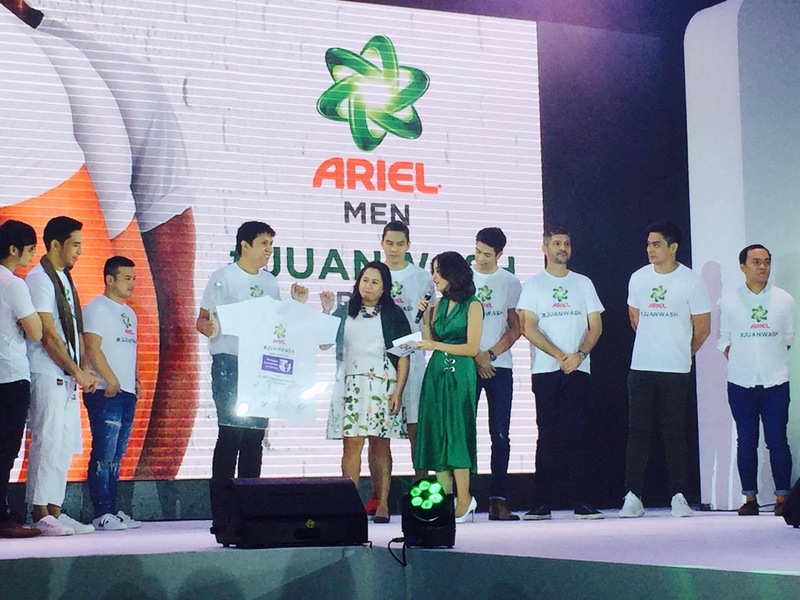 Ariel recognizes this new manly chore by rolling out the #JuanWash campaign that is specifically intended for men to help their wives when it comes to doing household chores, and of course- the laundry. The #JuanWash campaign introduced local celebrities that includes: JC Intal, John Prats, Kean Cipriano, James Deakin, Ali Khatibi, Marco Alcaraz, Sam Adjani, and Anton Del Rosario as the Ariel #JuanWash ambassadors. 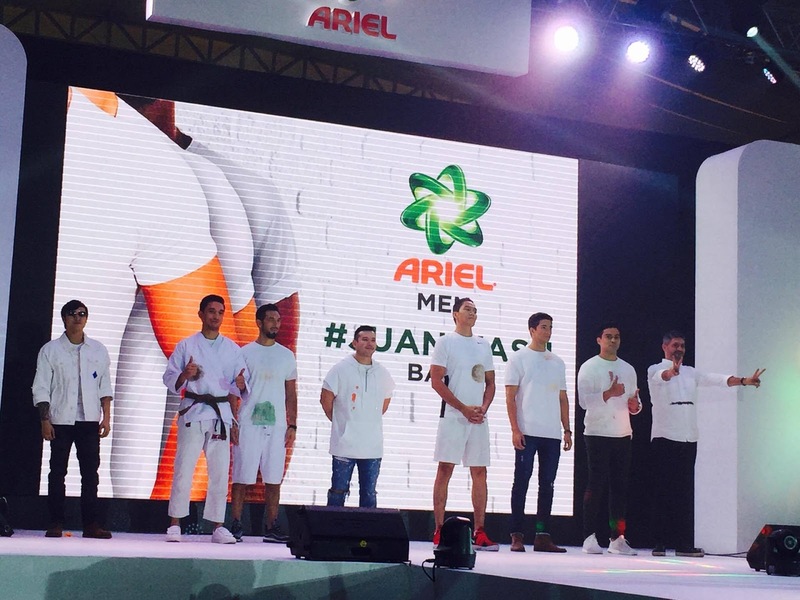 "The new Ariel Man is more confident and more responsible when it comes to raising his family," says JC Intal. Men, especially husbands nowadays are into this thing called shared household responsibility that entails taking care of the children, cooking, house cleaning, and doing the laundry. I, for one knows male family members and friends who really does the laundry at home. Yes, hubby included! Hahaha. I even had a surreal conversation with my brother-in-law who was so happy with the new washing machine that he bought, a top-line model. He spoke of it as it if were a car- you know, men and cars. But in the case of my brother-in-law, its man and his washing machine. 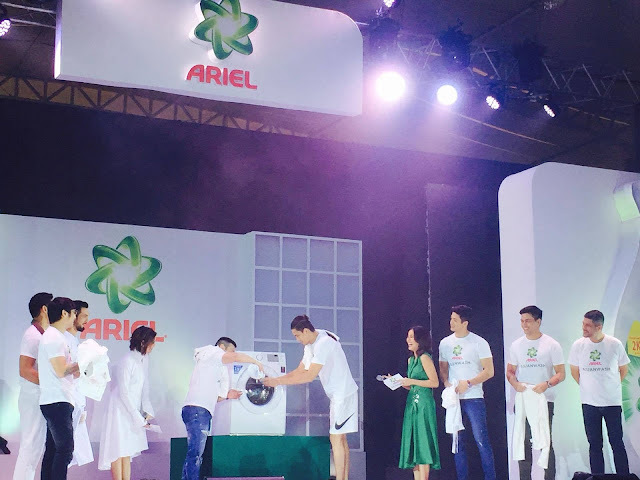 Ariel Power Gel is also easy pair with the dirty laundry and #JuanWashers will be happy to note that it has a special stain formulation that does the trick in one wash. "More than providing superior clean and better stain removal with our innovative liquid detergent, Ariel is a brand that prides itself in being a part of the progressive Filipino home. With Ariel #JuanWash, we want to shed light on the importance of gender equality in and out of home, as we all work together towards a more progressive country and a more equal world," shares Louie Morante, Regional Brand Communications for P&G ASEAN Fabric and Home Care. 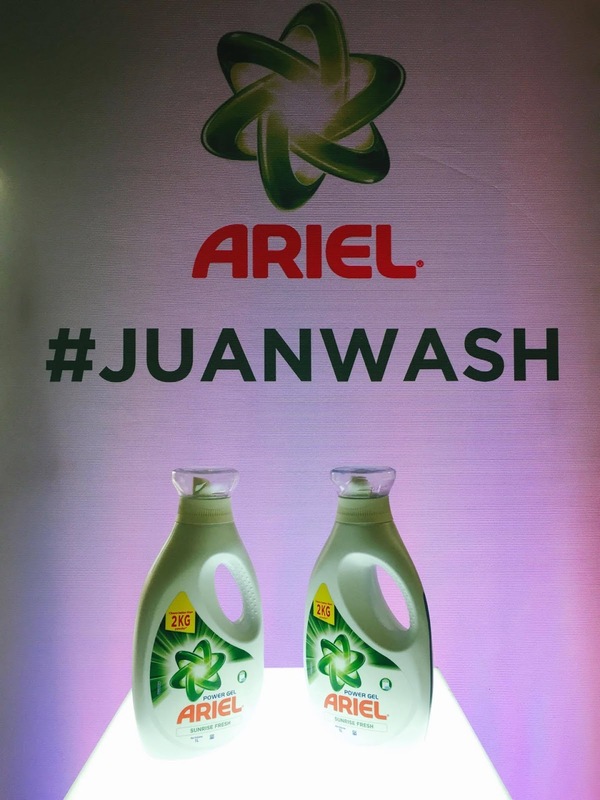 The #JuanWash campaign is in line with P&Gs #WeSeeEqual global advocacy, and its #AhonPinay the women empowerment campaign.